Thank you. It’s wonderful to be here tonight. 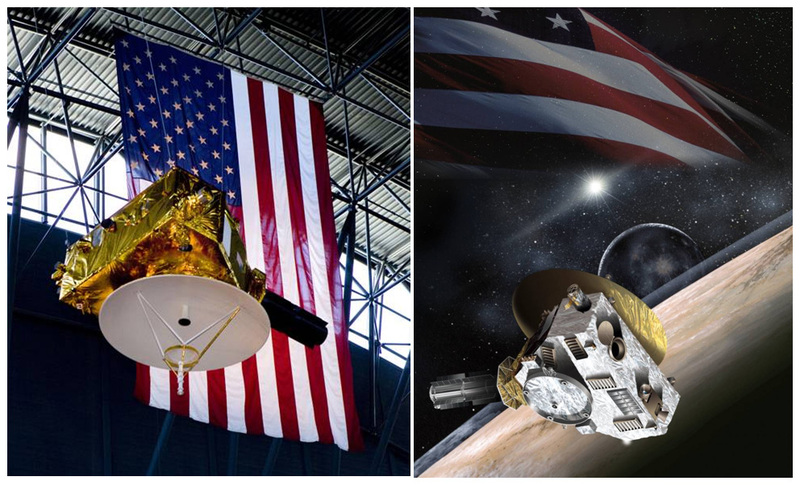 And it’s amazing to think that New Horizons itself is more than a billion miles off and happily speeding another million more miles toward the frontier every day. I don’t know how many of you know this, but New Horizons is now farther from Earth than all but two operating spacecraft – NASA’s Voyagers 1 and 2, which pioneered the deep outer solar system, but left planet Pluto and the Kuiper Belt unexplored. And you might not know this either – the U.S. did not launch a mission to reconnoiter a new planet from Voyager’s launch in 1977 until we launched in 2006. And when we crossed the orbit of Saturn this summer, it had been 27 years since the last spacecraft to venture that far (Voyager 2) passed Saturn. Well, our little spacecraft is putting NASA and the U.S. back in the pioneering exploration business in the 21st century. 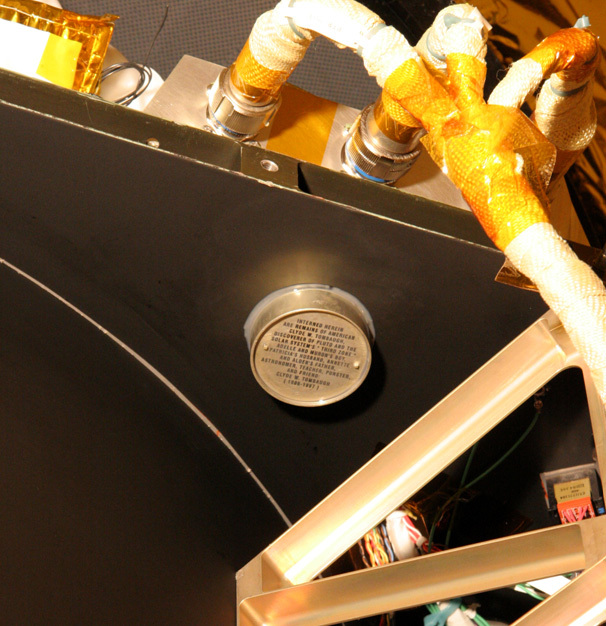 The New Horizons model was “inducted” into the National Air and Space Museum’s space science collection on Oct. 17, 2008. 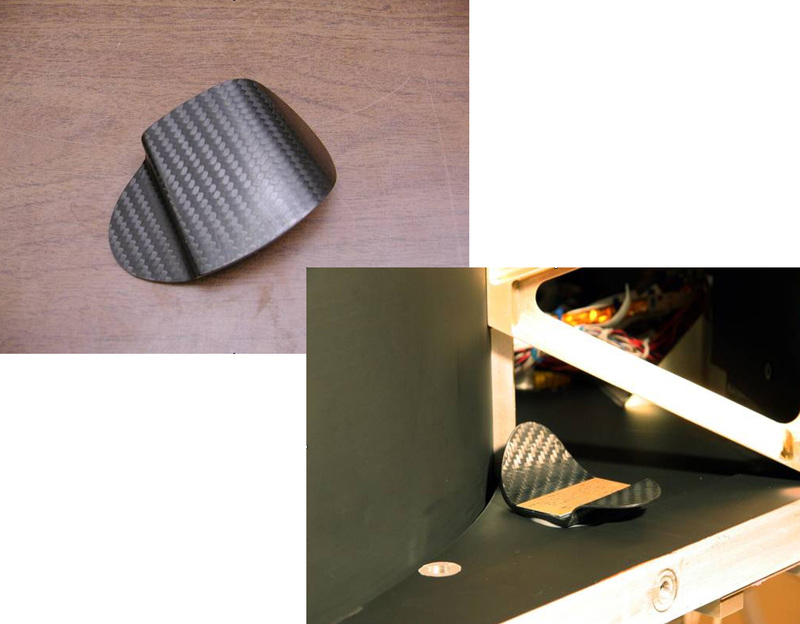 Does the model display look familiar? This day has been a long time coming – we’re now 1,002 days into our flight, we’ve been a project team now for almost eight years, and it has been over 19 years since a few of us first discussed doing a Pluto mission with NASA. 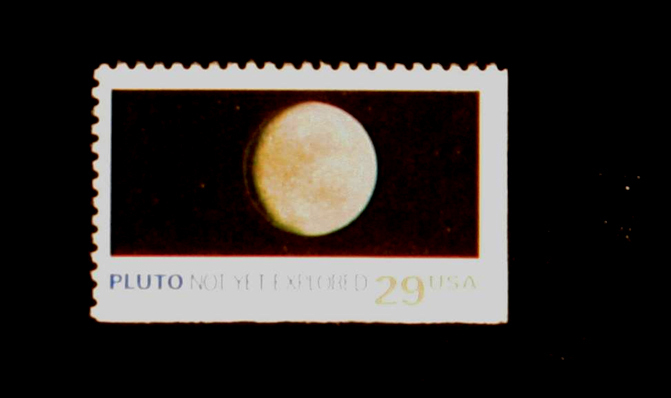 I recall, just as we were getting the first Pluto mission studies done, a 1990 article about an early Pluto mission concept called Pluto 350, which was planned – as we are – for arrival in 2015. And I also recall my comment in that article about my little 2-year-old daughter, Sarah, and how far off 2015 would be, and how old she would be – 28 that year, and how I could hardly imagine such a far off future! Well, it’s not so far off now – Sarah turned 21 today, Oct. 17, 2008. By that measure, 2015 seems almost right around the corner! 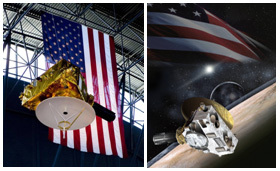 You know, thousands of Americans helped design, build, test and launch New Horizons. Many of you here tonight are among them. Thank you all, from the bottom of my proud heart, and thank you on behalf of the New Horizons science team, the planetary science community of this country, and for all the Americans and citizens of the world who you inspired with the audacity to build a spaceship to open new frontiers, to turn heads, and – just think about this – to fly among the stars and literally outlive the Earth itself. 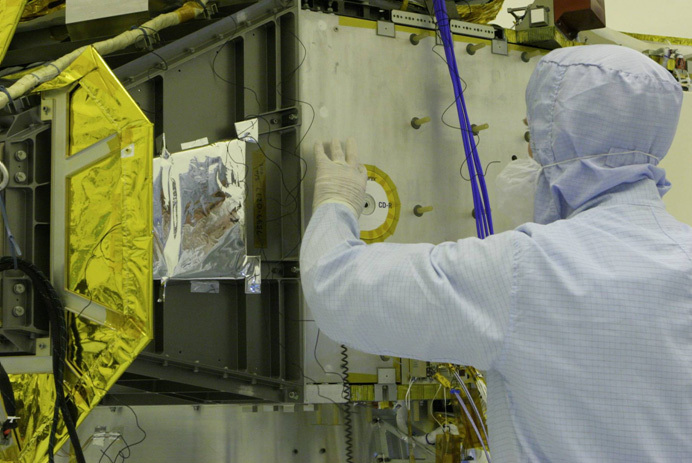 Technicians affix the CD containing 434,738 names – all on the way to Pluto! A compact disc on the other side of the spacecraft contains images of New Horizons project personnel. The Florida quarter, just before its placement on New Horizons. 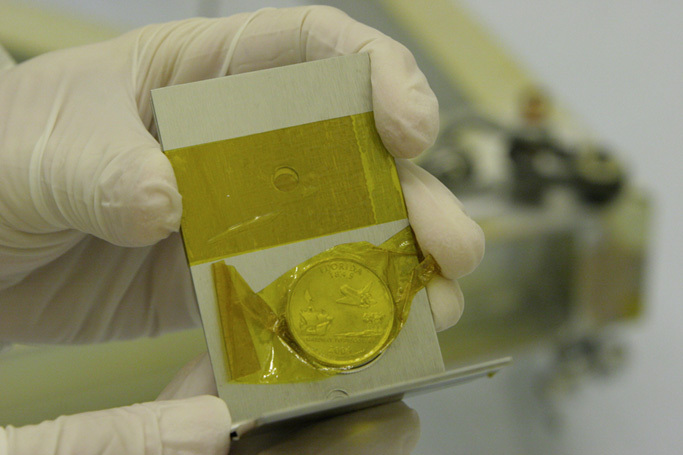 The spacecraft also holds a Maryland commemorative quarter. 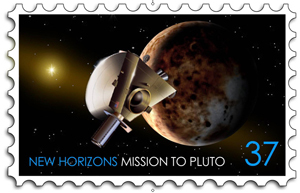 We thought it would be great to have this stamp fly past Pluto while its message becomes obsolete! I knew you would like that! Thank you and good night.